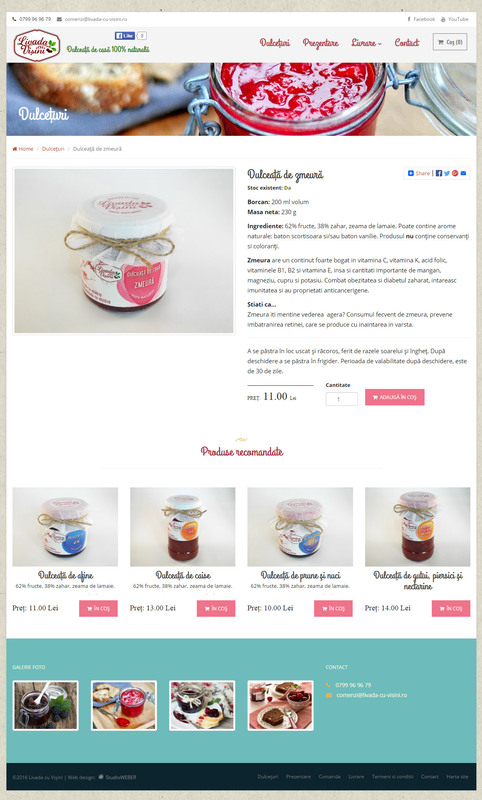 Web design and development of an e-commerce web site for a local producer from Brasov, Romania. 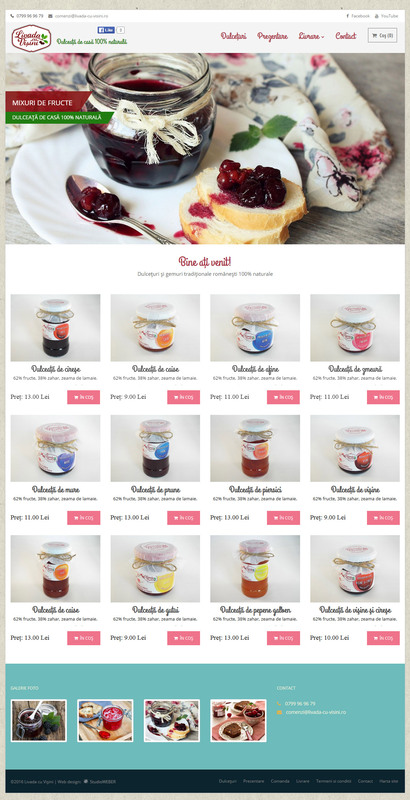 The site features the products with details, has an “organic” look and a pastel color combination. The site has a custom made content management system for easy site administration. All the product categories, products and site pages are editable (text, images and documents). The admin panel allows search engine optimization actions for each page, according to the desired keywords. The site is created with responsive technology, it will adapt it’s size according to the device it is accessed from: desktop, tablet and smartphone.